We’re lucky enough to have a pool and all manner of ugly things end up in it – us included. We have mosquitos, large ants, flies, wasps and spiders. We try to hook out most things to give them a chance – especially moths, bees and grasshoppers – but really it’s so we can have a swim. Spiders are also put on the side to dry out, like the one found below this morning. Further investigation shows it to be a Wolf Spider. So that’s great then. It’s called Lycosa tarantula and comes out at night to hunt for prey. They hibernate in the winter (we’re beginning to think winter’s not such a bad time, what with snakes taking some time out too). They are venomous but you’d have to keep provoking them. Unsurprisingly, our cat Tinkerbell took a shine to it immediately and has been sent to her room. Update: We’ve just checked on it and it’s alive – a gentle prod kicked its legs into action. A film of this would seriously freak some people out! 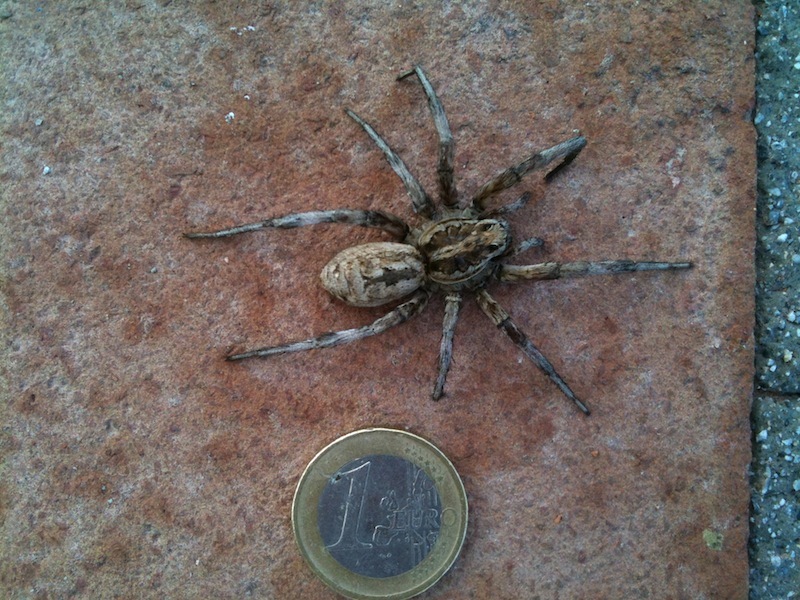 Here it is with a euro coin for scale. There’s another spider below we also got out the pool a while back. 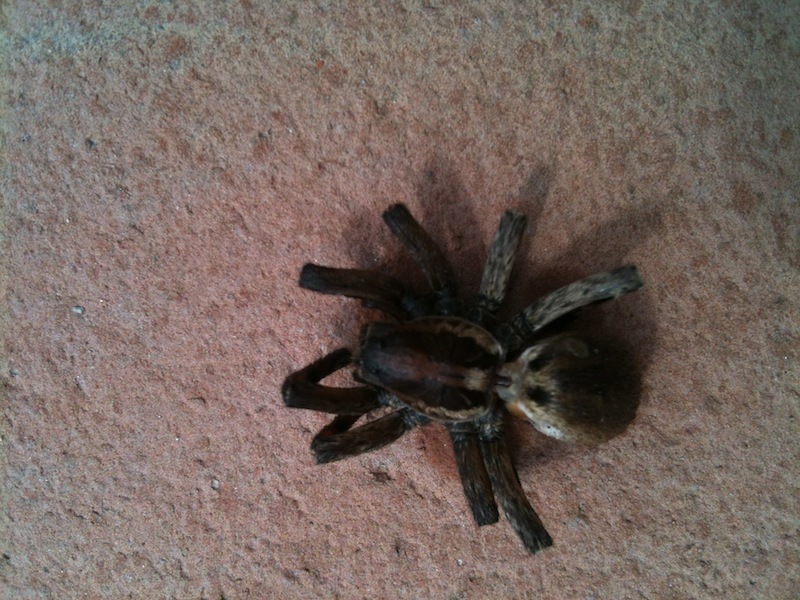 We’re beginning to wonder if this is also some kind of tarantula – anyone know? Impressive! I used to be freaked out by spiders, but that’s before I met those enormous cockroaches that outnumber Toledo’s population by one million to one. Eeeeeek!